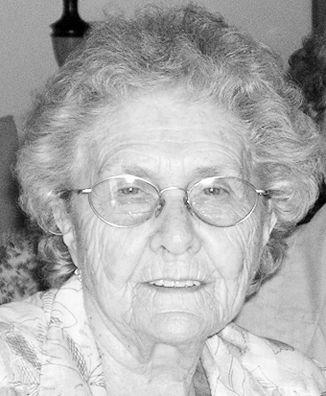 Florence Marie Fowler, 97, died Jan. 18 in Loveland. She was born Oct. 26, 1921, in Medicine Lodge, Kan., to Eliza and Thelma Webb. She grew up in Medicine Lodge. She married Elmer Fowler on Jan. 29, 1941, and they settled in Chaffee County after World War II to raise their family. They lived in Salida for 56 years. Mrs. Fowler was an Avon sales representative for 14 years and achieved tops sales goals on many occasions. She was active in local bridge clubs and took up painting in her mid-60s. After retirement Mr. and Mrs. Fowler traveled extensively throughout the United States, enjoying the natural wonders and scenic views. Mrs. Fowler was preceded in death by her husband; son Richard; daughter Marie Fowler LaVassaur; and three younger brothers, Kenneth, Orville and Marvin. Survivors include her children Leonard, Maurine, Jim, Linda, Marty and Harry; 19 grandchildren; 16 great-grandchildren; and five great-grandchildren. Her memorial service will take place this spring at Mount Olivet Cemetery in Buena Vista.